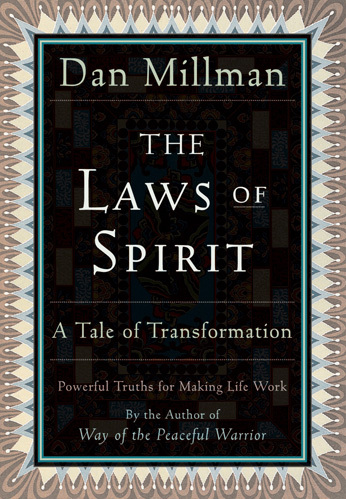 Couched in an entertaining story about Dan’s encounter with a mysterious woman sage in the mountains near his home, The Laws of Spirit conveys simple yet powerful truths for living wisely and well — in alignment with the universal laws that govern our lives, including the laws of balance, choice, process, expectation, presence, integrity, compassion, surrender, and unity. Readers have asked me which of my books is my favorite. That’s like asking a parent which of his children are his favorite-impossible for me to answer, since each “child” is special. However, The Laws of Spirit is especially close to my heart for its pithy wisdom. In a sense, this little book provides the solutions to any of life’s dilemmas. I had originally written it strictly as a non-fiction work — but then, in an inspired final rewrite, I created a story in which a wise woman sage teaches me these laws in a way that transmits the lessons not only to readers’ minds, but to their hearts. These laws of spirit are the keys to the “twelve gateways” I present in Everyday Enlightenment. As you join me on this journey through the wilderness, and experience each adventure and insight, you absorb essential wisdom that makes life flow in the simplicity of the present, with balance, compassion, and integrity. I believe that Socrates would love this tale of transformation.